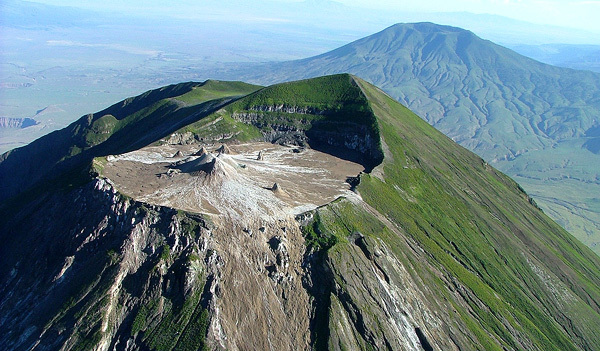 Ol Doinyo Lengai, located in Tanzania, is the only known actively erupting carbonatite volcano on the planet (specifically, natrocarbonatites), and is one of the most unique volcanic landscapes on the planet. Carbonatite lavas are unique- they’re volcanic rocks with high levels of carbon that occur only in tectonic rifting zones. Ol Doinyo Lengai’s magma also contains high levels of sodium, meaning that the magma is water soluble. It also looks nothing like you’d expect magma to look like, as you can see in the video. The magma has been known to freeze in midair, and shatter upon hitting the ground. Short lived, strange looking sculptures dangling off rocks are also known to occur. Despite being a volcano with extremely low viscosity lava (the lowest of any volcano on the planet, in fact), it does not take on the shield volcano shape one would expect- instead it more closely resembles a stratocone with an unusual flat top. The unusual shape is likely the product of at least a couple of processes. First off, and likely most importantly, even though the lava does have extremely low viscosity, its low temperatures mean that it solidifies rapidly, which means it only travels distances comparable to more viscous lavas. 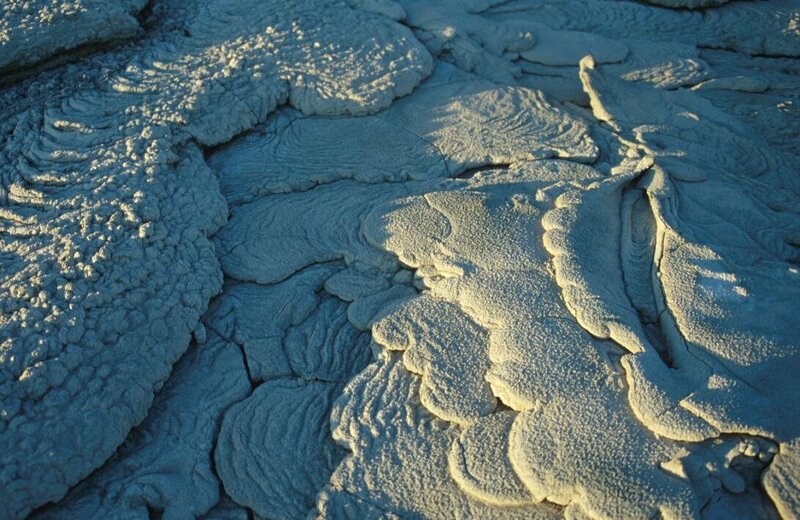 Secondly, the rapid erosion rate of natrocarbonatite lava deposits would also help it maintain its shape. This can be seen in the countless erosion channels visible on its slopes. The flat top is covered in hornitos, lava lakes, lava flows, and craters- and never stays the same for long. It rapidly changes its shape from year to year- if one were to create a time lapse video of it compared to any other active volcanic terrane filmed at the same speed, it would shift, grow and change at an astonishingly swifter rate. Old Doinyo Lengai translates to “Mountain of God” in Maasai. The carbonatite ash and erosive products scattered over the nearby grasslands have resulted in an immensely fertile local region, which is an important part of wildebeest migrations, as well as excellent pastureland for the Maasai. There are a few older extinct carbonatite volcanoes near Ol Doinyo Lengai, most notably Mount Homa, in western Kenya. Ol Doinyo Lengai erupts quite regularly, with a relatively major eruption as recently as 2007-2008. Others occurred in 1966, 1940, 1926, and 1917. 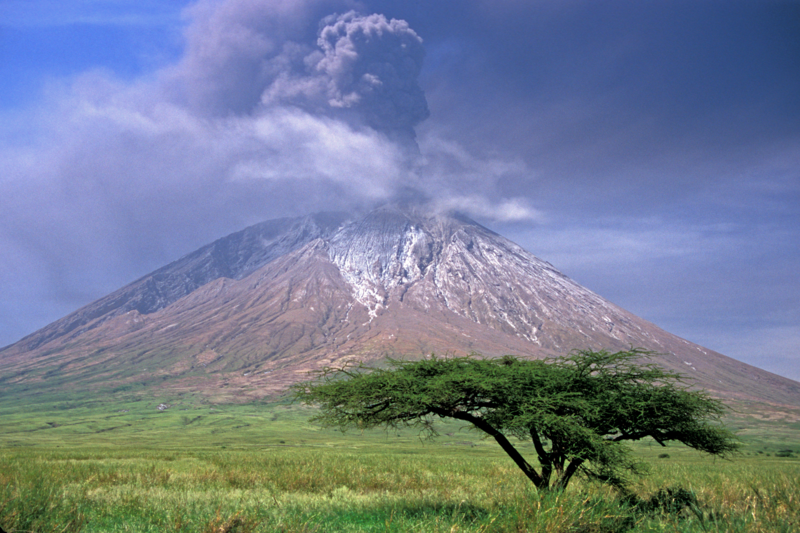 Frequent volcanic activity in between the major eruptions has been recorded as far back as 1883. This blog post was originally put up on my other blog on steemit, https://steemit.com/@mountainwashere. Posted in Uncategorized on September 23, 2017 by mountainwashere.